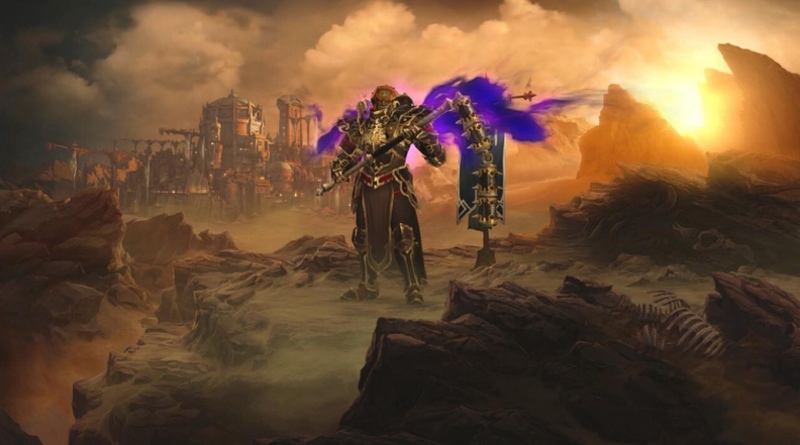 Earlier today Forbes published an article revealing that Diablo III: Eternal Collection had been announced for the Nintendo Switch. They promptly took down the article, but some Reddit folks managed to capture images of the article before it could be yanked! Diablo III has long been rumored as coming to the Nintendo Switch, and it now appears to be the case. We’re guessing that Forbes accidentally hit “publish” instead of “schedule” and broke an embargo. Oops! So, here the highlights! Diablo III: Eternal Collection will include the Reaper of Souls and Rise of the Necromancer DLC, as well as any additional added content that has released thus far for the game. Much like Elder Scrolls V: Skyrim, the Switch version of Diablo is said to include special Zelda content. According to the Forbes article that will be a Ganondorf cosmetic armor set, a chicken pet, Tri-Force portrait frame, and Echose of the Mask cosmetic wings. The Switch iteration will allow for four players on a single Switch as well as four players on four different Switches in the same room. Of course, you can also play online with friends via the Switch Online service, launching next month. According to Forbes the game will support cloud saves as well. According to the Forbes writer the game was playable at an event he was invited to, but he could not attend. This leads us to believe that the news in imminent and the official reveal should happen soon. In fact, Kotaku believes the news was meant for tomorrow, so we should hopefully hear more then. We’ll keep you updated as we learn more!